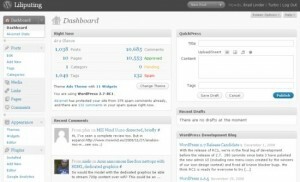 According to DownloadSquad and WordPress.com, WordPress 2.7 is coming out tomorrow. That’s 9 a.m. in Kuala Lumpur! I just can’t wait to load it when it comes out. I’m excited to see what changes are afoot. I’ll definitely benefit from this, especially if they include the “auto-blog” feature. Makes my job a lot easier. let the wordpress.com peeps give their feedback first hopefully we’ll get a stable version. Looks nice, do you know if this is going to be available for a self hosted blog? 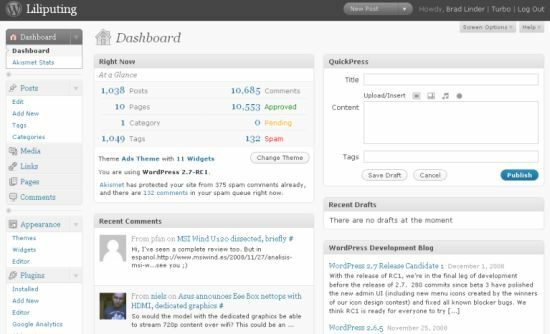 I am waiting for final release of WordPress 2.7 for self hosted blog.